You can uninstall an active integration in your account's integrations settings. On the Connected apps screen, find the integration you want to uninstall and click Disconnect. In the dialog box, click Uninstall integration. There are additional steps to follow when uninstalling the Salesforce integration. 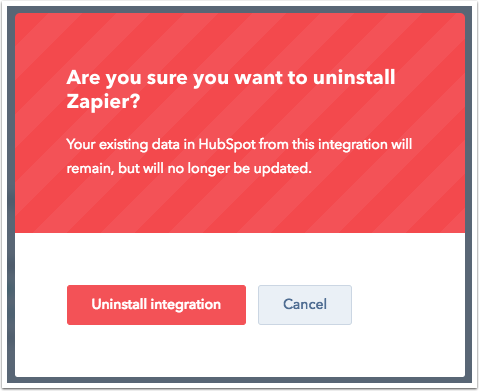 Learn more about uninstalling your HubSpot-Salesforce integration.